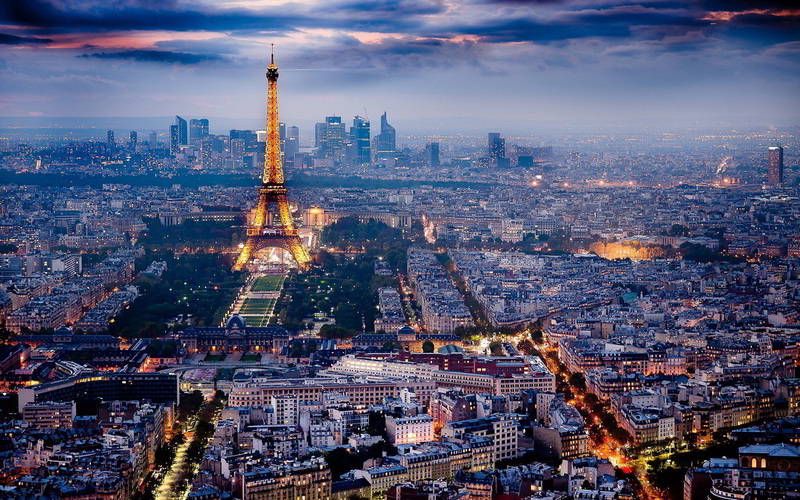 DAY 1: Paris is the capital and most populous city of France. The city is situated on both sides of the Seine River. Paris has many nicknames, but its most famous is "La Ville-Lumière" (literally, "The Light City"; although most often translated as "The City of Lights" or as "The City of Light"), a name it owes both to its fame as a center of learning and ideas and its early adoption of street lighting; however, the lights of Paris at night are magnificent! 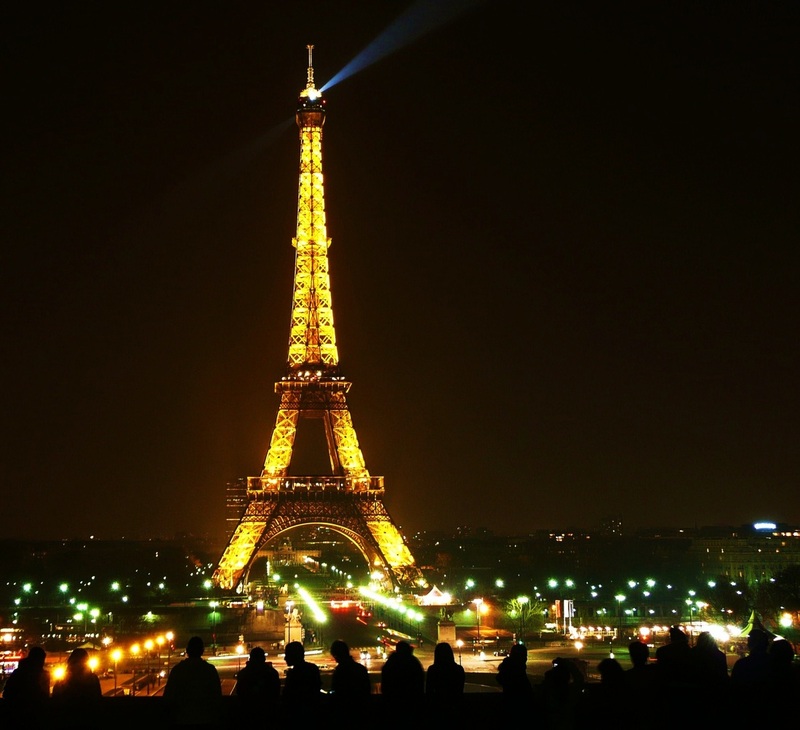 DAY 2: Travelers from around the world flock to Paris to visit the Eiffel Tower, or La Tour Eiffel in French, making it the most visited paid monument in the entire world! 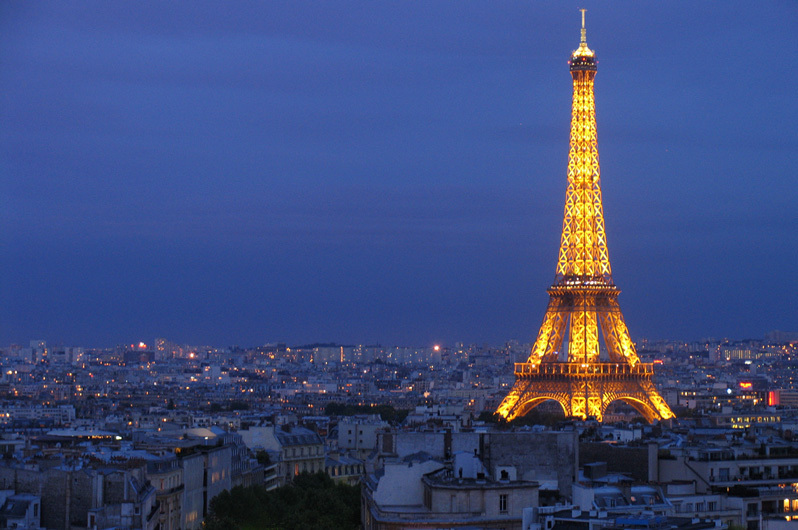 In fact, in 2010, the Eiffel Tower welcomed its 250 millionth visitor! 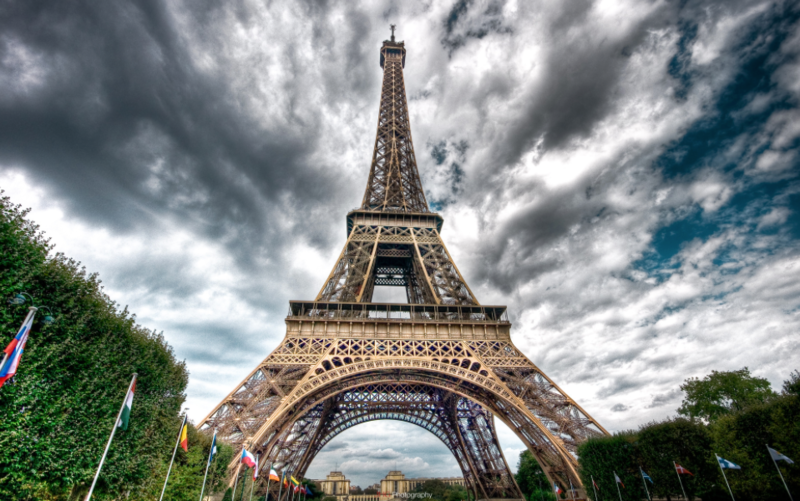 The Eiffel Tower was named after the engineer Gustave Eiffel, whose company designed and built the celebrated monument for the World's Fair in 1889! 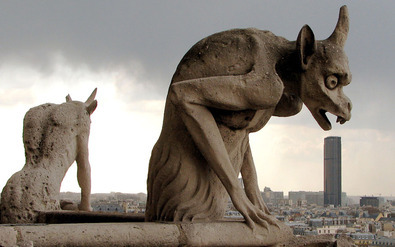 If you visit the Eiffel Tower, you can look down upon Paris from three different levels. You can take a lift up to all three levels, or you can challenge yourself by climbing the stairs all the way up to level two. 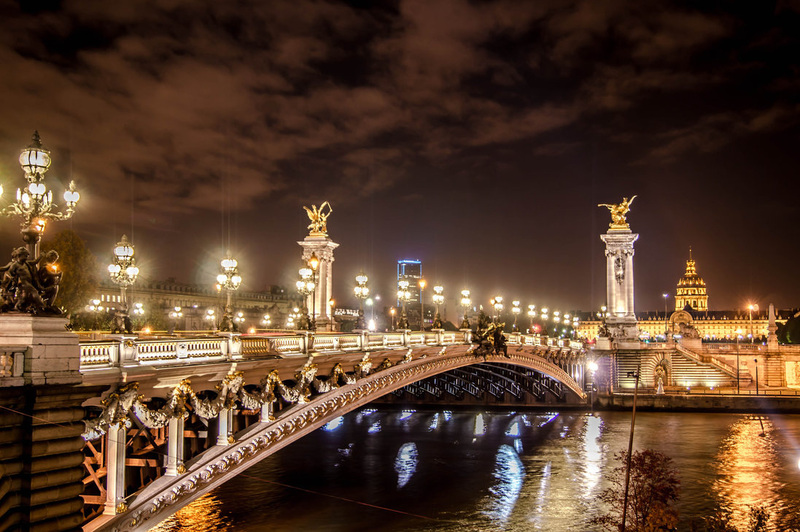 While visiting during the day lets you see Paris far and wide, night time delivers a little more pizzazz. The city, as well as the tower itself, is completely lit up, making it an unforgettable experience! 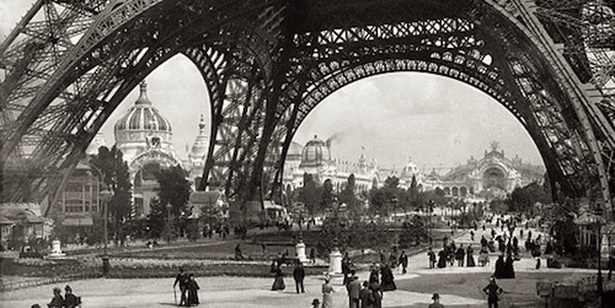 Visitors to the World's Fair walked under the Eiffel Tower to enter the splendid exhibitions. 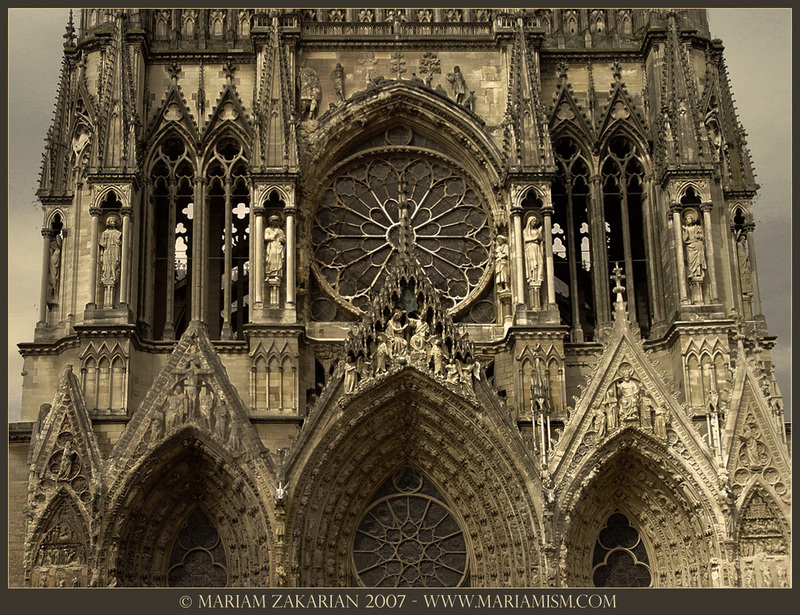 DAY 3: Notre-Dame de Paris is over 800 years old! The entire population participated in its construction; some offered money, others offered their labor, while others offered their knowledge. 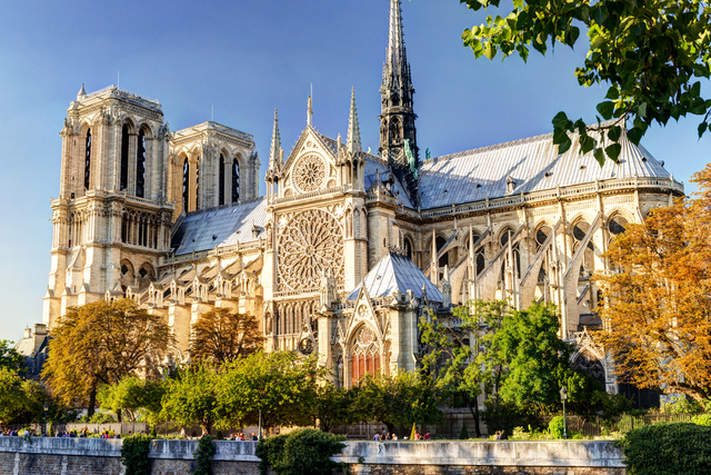 Construction began in 1163, and Notre-Dame would be completed some 100 years later. 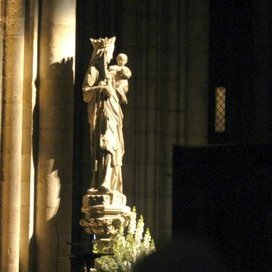 The cathedral is dedicated to Mary, the mother of Jesus --hence the Name "Notre-Dame" or "Our Lady." 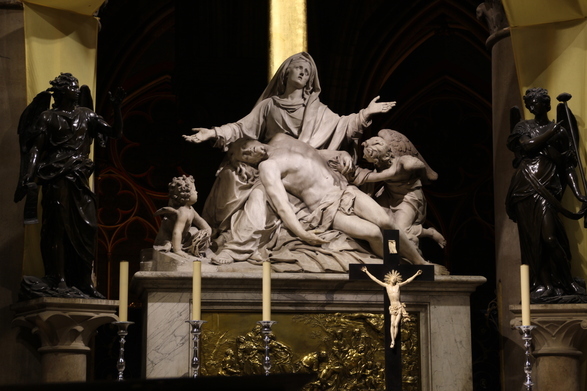 There are 37 different works of art that show Mary from sculpture to painting to stained glass. 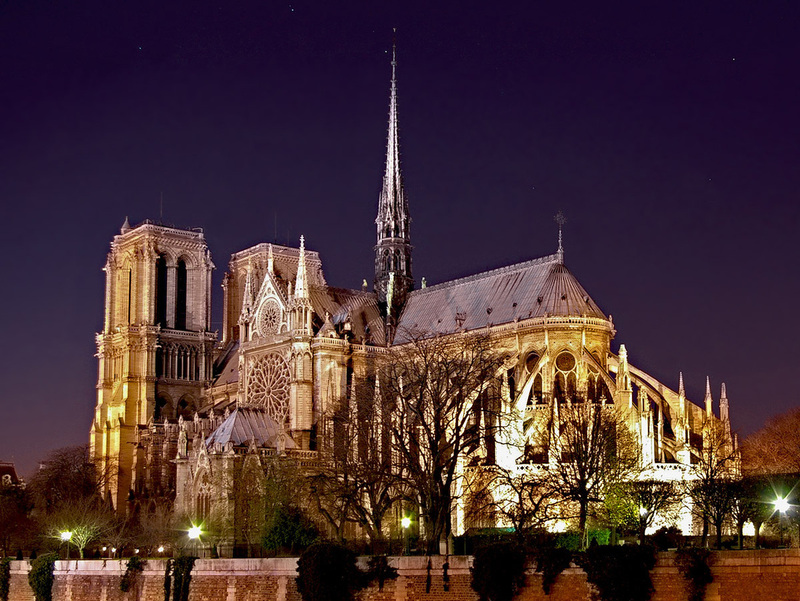 Since it was built, the cathedral has been one of the main symbols of Paris and of France. 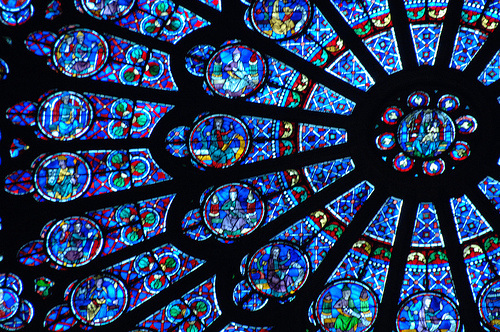 In Gothic architecture many cathedrals had a rose window, also called a wheel window, where beautiful stained glass decorations and Biblical images added color to the wonders inside. 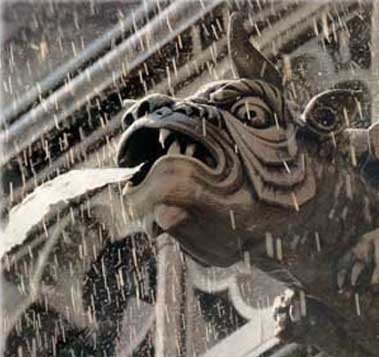 In architecture, a gargoyle is a carved or formed stone sculpture with a spout designed to convey water from a roof and away from the side of a building. 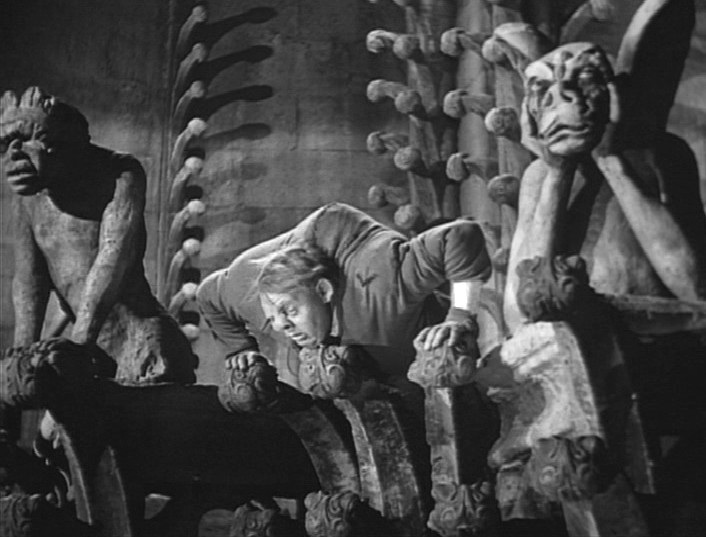 The gargoyles of Notre Dame are some of the most famous and served as a lookout place for Quasimodo in the Victor Hugo's, "The Hunchback of Notre Dame." 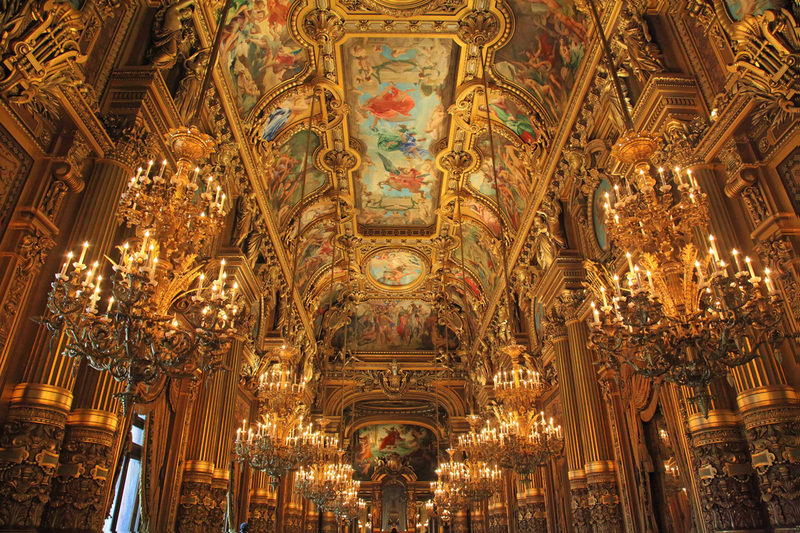 DAY 4: The Palais Garnier, is a grand landmark at the northern end of the Avenue de l'Opera in Paris, France. 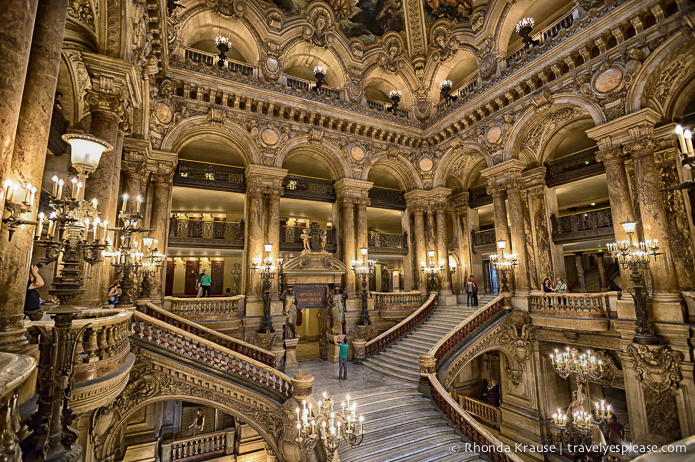 It is regarded as one of the architectural masterpieces of its time. 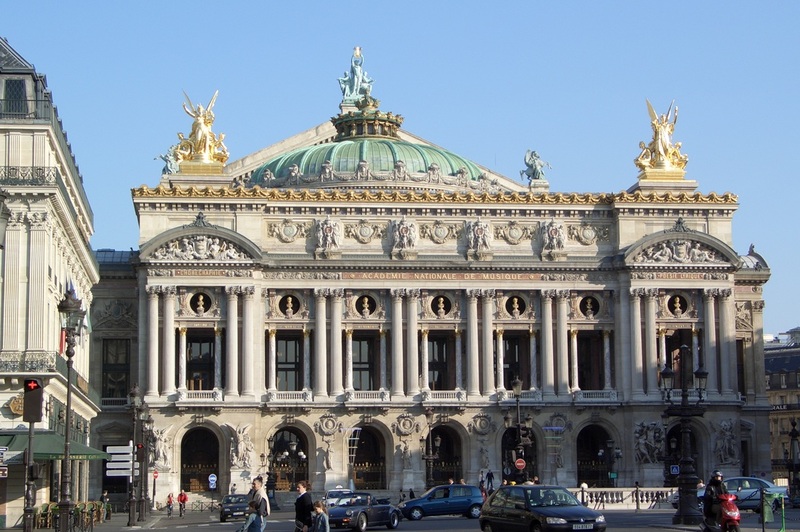 An ornate building, the style is monumental, opulently decorated with elaborate multicolor marble friezes, columns, and lavish statues. The interior is rich with velvet, gold leaf, and cherubs and nymphs. 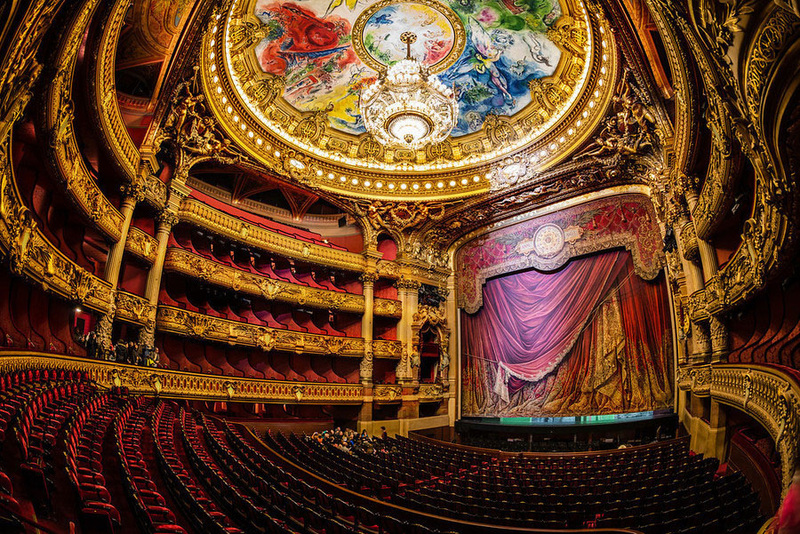 The auditorium's chandelier weighs over 12,000 pounds; its ceiling was painted in 1964 by Marc Chagall. 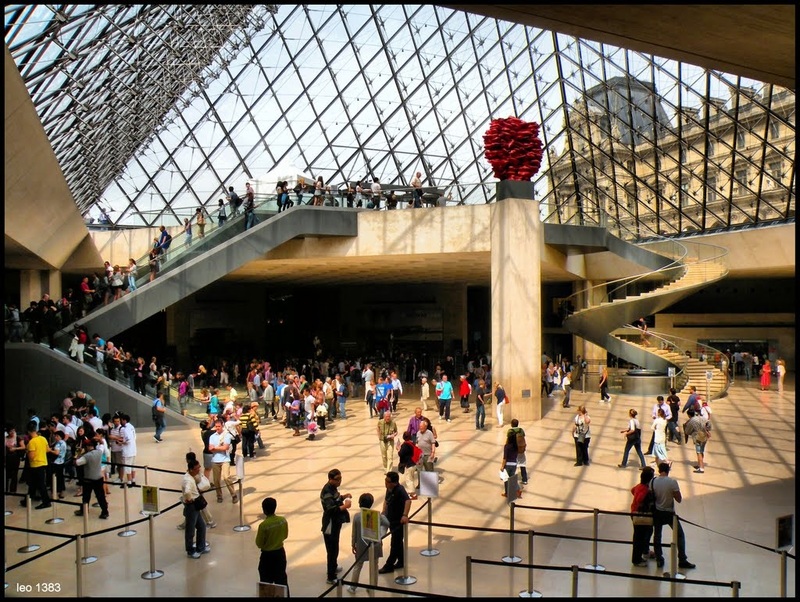 DAY 5: The Louvre is the largest museum in the world, and one of the most visited. 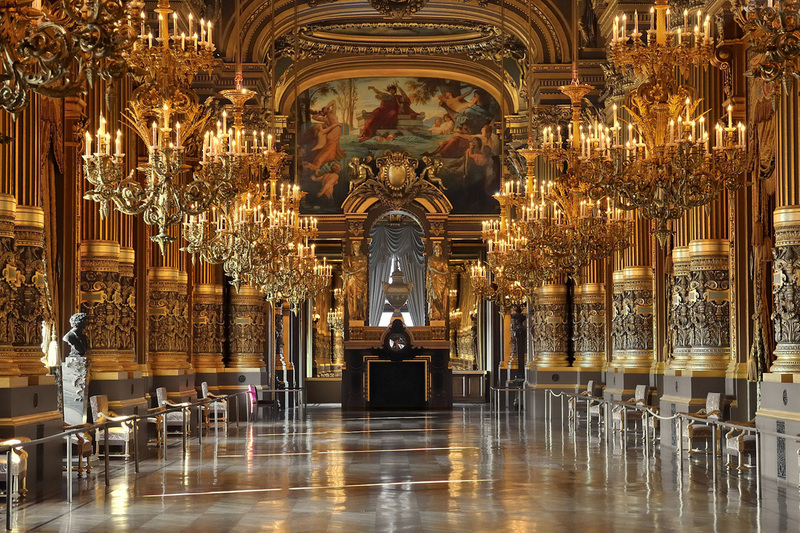 It holds an estimated 35,000 paintings, sculptures and other works of art. 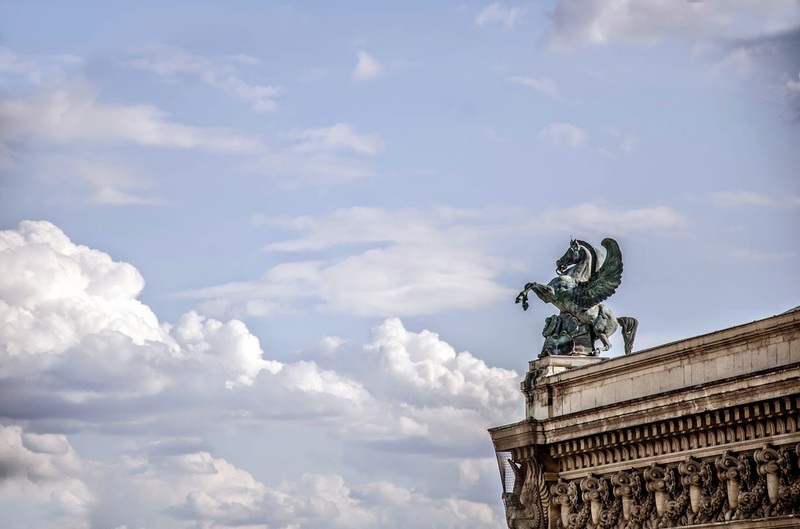 It would take 100 days to see everything in the Louvre if you looked at each item for 30 seconds, all day without a break. There are also several hundred thousand items not on display. 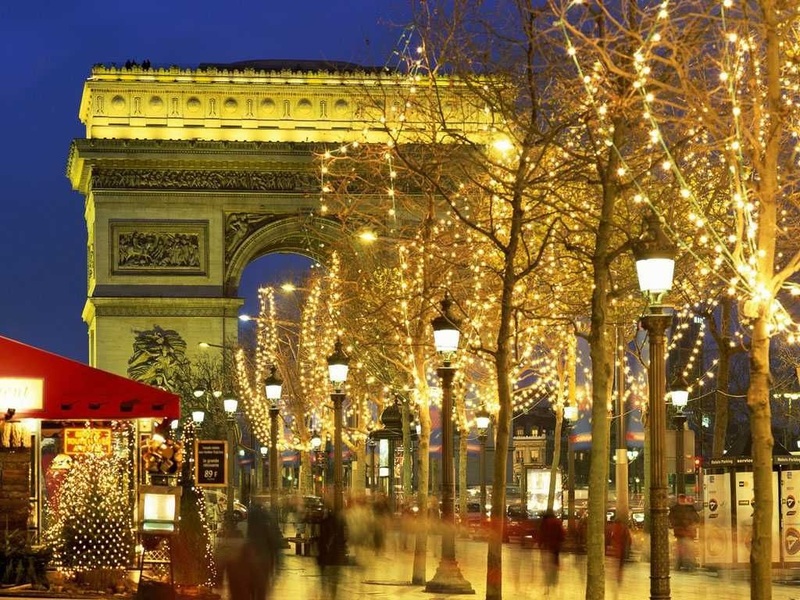 In fact, Paris has been the working location of many famous artists from Monet to Van Gogh!. The Louvre Pyramid was commissioned by the French President and built in 1989. All visitors to the museum enter through the pyramid. 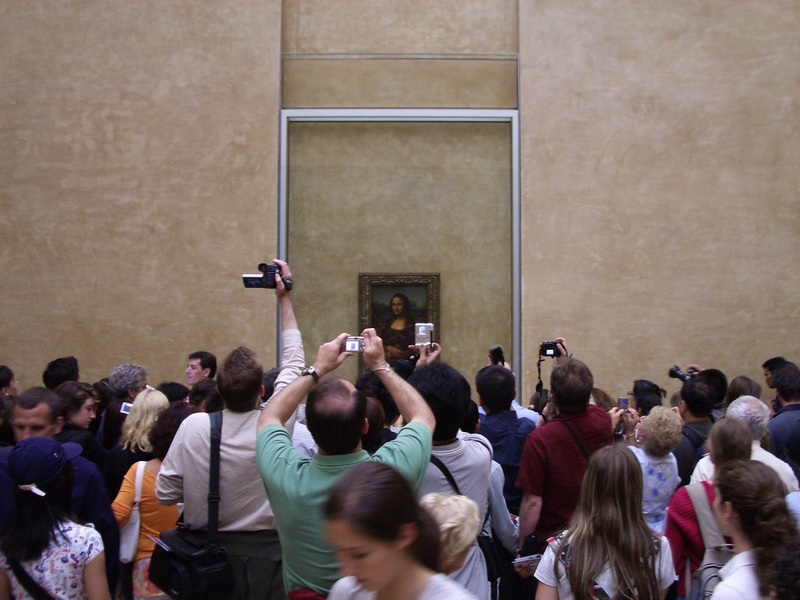 Perhaps the most famous work of art in the Louvre is the Mona Lisa which is behind bullet proof glass.